Underlying most of our health issues, stress is either responsible or somehow contributing to our lack of well-being. Insomnia, headaches, depression, back and neck pain; even infertility have stress as their root cause or is making these conditions worse. Conventional medicine is often ineffective because it doesn’t help us cope with the stress. The lifestyles we live are what’s making us sick and slowly killing us. At Lifestyle Acupuncture our goal is to help you create a new Lifestyle of health, vitality and wellbeing using the ancient holistic therapies of Acupuncture and Traditional Chinese Medicine. 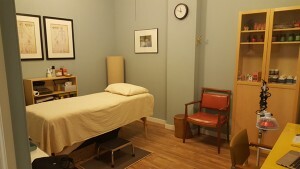 Located by the traffic jams of Midtown and blocks away from the crowds of tourists and commuters at Penn Station, you will be treated to a peaceful getaway where you can relax, recharge and enjoy the ancient techniques of Acupuncture and Chinese Medicine that have withstood the test of time with thousands of years in the making. As a client of Lifestyle Acupuncture, you will receive an expert diagnostic evaluation to identify the root cause of your ailment based on Traditional Chinese Medicine. Diagnosis includes the physical, mental, emotional and spiritual aspects of your being. These all come together to give us a complete and holistic view of your health with the best methods to restore you back to balance and relieve your symptoms. Services include Acupuncture, Cupping, Gua Sha, Electric Stimulation, Dietary and Herbal Recommendations. Not only will you feel relief from your main complaint, you will also leave with the knowledge to promote healing in your everyday life. Being healthy isn’t something you wait to do when you are sick, it is a lifestyle that you choose.